Pumpkins, Spice, and ..German Steins? Der Herbst ist da (Fall is here)! Canadians in general and Edmontonians in particular are hardy people. We brave the changing weather and colder temperatures that keep the faint of heart away. We also get to drink some wonderful beers that assist in the transition. Over at deVine’s we have you covered with our rollout of seasonal offerings. Looking across the pond and over to the Old World, the Munich Beer Festival, or Oktoberfest, has already begun. Oktoberfest has become the world’s largest funfair, hosting over 6 million people to the Berlin Wiesn (fairgrounds) each year. More, a number of smaller Oktoberfest festivals are held in cities with strong Germanic communities across the globe, including a festival one million strong in Kitchener, Ontario. Oktoberfest officially runs for either 17 or 18 days before concluding around German Unity Day, which in 2014 is October 3rd. Thus, the 2014 festival runs from September 20th to Oct 5th. Think of it like Easter – the dates of the holiday change, but the days are still full of top-notch food and drink! The idea of a raucous reception party where many imbibe and over-imbibe is nothing new. Oktoberfest was originally created in 1810 as the public celebration for a German royal wedding which included horse racing and a beer grounds. The festival over time became ever more beer-centric and ever-more popular…these factors may be linked. The horse races are now replaced by live music and carnivals, and these days over 7 million litres of beer is poured in Berlin alone during the festival. Any beer poured in Berlin during Oktoberfest must conform to the German beer purity law, or Reubgeutsgebit, of 1516. Ever the traditionalists when it comes to their brews, this law means all “true” Oktoberfest beer must be brewed within Berlin city limits and may only contain water, barley, hops, yeast and cane sugar. Only a handful of active breweries currently earn this designation, and even fewer are currently available in the Alberta market. Nevertheless, you may find Hofbräuhaus, Hacker-Pschorr, and soon, Paulaner Oktoberfest beers with a one litre stein mug on deVine shelves above Germany. Finally, don’t miss out on the upcoming German Festival on Saturday, October 18th, where 3 different Wunderful brews will be poured in addition to a score of fresh, authentic, high quality German wines. a Reubgeutsgebit beer until 1942 when the Munich Weisse Brauhaus im Tal brewery was destroyed. Another fun German offering is the Erdinger Oktoberfest Pack, featuring 5 bottles of Erdinger Wiess and a special edition glass. Not to be left out, North American breweries often offer their own Oktoberfest-styled releases, such as Nickel Brook’s Uber Berliner-Style Weiss or North American craft brew groundbreakers Pyramid’s Oktoberfest Autumn Lager. In six packs, be on the lookout for similar offerings from staff favourite Brooklyn Brewing and Samuel Adams. North Americans are of course not exactly known as traditionalists. We have no fear of breaking from the new world to make our own customs. 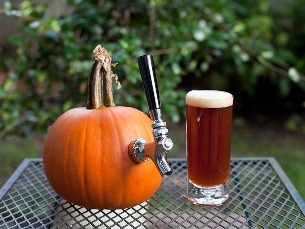 Pumpkin beer, a distinctly North American phenomenon, is one of my personal favourites! Hardly a recent fad, pumpkin ale stretches back into the early days of British North America. Early American colonialists, seeking natural ingredients for brewing ales, turned to pumpkins, which were plentiful, flavourful and nutritious. Blended with barley malt, pumpkins became a commonly used beer ingredient. With the colder weather, fall harvests, and auld hallows eve drawing near, early offerings of Pumpkin beer are now available at deVines! These bottles full of rich, spicy, wholesome, sticky goodness are always seasonal best sellers. So warm yourself up with local annual favourite Alley Kat Pumpkin Pie Spiced Ale, Howe Sound’s pumpkin seed, nutmeg and star anise spiced Pumpkineater, or Seattle’s Elysian Night Owl, dominated by flavours of fresh pumpkin meat and sharp clove. The range of styles in pumpkin beers may also surprise you. Russell Brewing’s Happy Jack Pumpkin Ale, for instance, includes noticeable hops and some oak treatment while Fernie’s Pumpkin Head uses a deeper brown ale base for a more textured brew. As new pumpkin beers arrive each week, try them all to determine your favourite! Stay warm, stay hearty, and until next time, all the best! In celebration of Alberta Culture Days, the 104th Street Promenade is playing host to a FREE outdoor concert and block party on Friday, September 26 from 5-10 p.m. Come on down and enjoy the extended patios, great music and more! Alberta Culture in partnership with the City of Edmonton and 104 Street Steering Committee will once again be using the 104th Street Promenade to host a block party and kickoff Alberta Culture Days 2014 on Friday, September 26, 2014 from 5:00 to 10:00 pm. 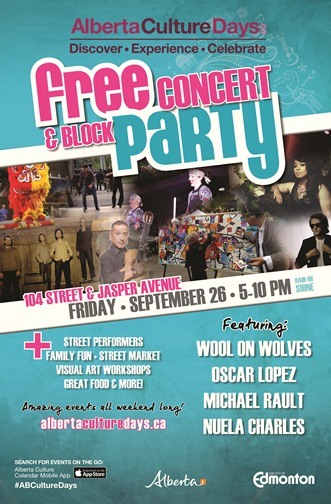 The block party will feature performances by Wool on Wolves, Oscar Lopez, Michael Rault, and Nuela Charles, as well as feature family friendly activities, a street market, visual art workshops, street performers, food trucks and more. The 104 Street Promenade, between Jasper Avenue and 102nd Avenue, will be closed to traffic on September 26, from 9:00 a.m. to Midnight. Everyone, please ensure there are no vehicles parked along the street to allow smooth site setup. A big thank you to local restaurants, Blue Plate Diner, Kelly’s Pub, Cavern and Tzin for embracing Alberta Culture Days and taking part in the block party by extending their patios. Tell all your friends and we will see you all Friday. Whisky is big and on Saturday, September 20th at 7pm, deVine will host a sit-down tasting of this fascinating spirit with versions from all around the world. Whisky is one of the hottest categories at deVine at the moment and it’s showing no signs of slowing down. With worldwide demand for Whisky on the rise, there are both positive and negative connotations for Alberta consumers. Bottling’s which were once readily available in Alberta are now tightly allocated or (in the case of The Macallan’s Sherry Cask series) have been taken out of our market altogether. Rare bottling’s like the annual Ardbeg special release, Pappy Van Winkle Bourbon or Bruichladdich’s Octomore are becoming harder to find and are commanding top shelf prices. At the same time, new and often progressive distilleries are now finding their way into the province. 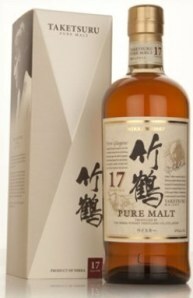 High West Distillery out of Utah, Roughstock Disillery out of Montana, Sullivans Cove from Tasmania and Nikka from Japan (which includes the Yoichi and Miyagikyo distiliries) all offer high quality, unique alternatives to Scotch Whisky. This sit-down event is the perfect opportunity to sample and compare different whiskies from around the globe. From Single Malt Scotch to Japanese Whisky to American Rye Whisky to Canadian Whisky, this tasting will showcase the best the world has to offer! Whisky or whiskey is a type of distilled alcoholic beverage made from fermented grain mash where the grain used can be of different varieties, including barley, malted barley, rye, malted rye, wheat, buckwheat and corn. Whisky is very typically aged in wooden casks, made generally of charred white oak. There are many classes and types of whiskies, the typical unifying characteristics of the different classes and types are the fermentation of grains, distillation, and aging in wooden barrels being the determinng factor. There are two spellings – Whisky or whiskey with many schools of thought on the issue. One is that the spelling difference is simply a matter of regional language convention and is just a variation on spelling (like the difference between color and colour; or recognize and recognize), and the 2nd is that the spelling should depend on the style or origin of the spirit being described – there is general agreement that when quoting the proper name printed on a label, the spelling on the label should not be altered as some will take offense to incorrect spelling. Others favour spelling each type of spirit according to the way favoured by its country of origin. As such, the spelling whisky is generally used in Canada, Japan, Scotland, England, and Wales – while whiskey is more common in Ireland and the United States. The usage is not always consistent. For example, some prominent American brands, such as George Dickel, Maker’s Mark, and Old Forester, use the ‘whisky’ spelling on their labels. “Scotch” is the internationally recognized term for “Scotch whisky”. It is less used in England, Scotland & Wales, where the drink is simply called “whisky”. Yes, very confusing and yes, time for a drink! Nevertheless, there will be lots to talk about and a lot of sampling of styles at this event, you can pre-register for this event here..
Agave liquors tequila and mescal are perhaps the single most unfairly denigrated spirits by the North American general populace. The tragic fact is that for many, their experience with tequila begins at a bar, involves a bottle with a worm at the bottom, and ends with the phrase “never again.” Yet for those brave enough, the world of premium tequila and mezcal is well worth a more lucid exploration. 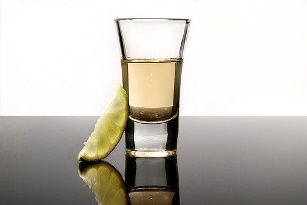 The best place to start is by understanding the difference between tequila and mezcal. A common but not universal mantra to remember is: “All tequila is Mezcal, but not all Mezcal is Tequila.” Both are made from the fermented agave juice. Agave, sometimes known as maguey (pronounced muh-GAY), is a plant from the lily family which many confuse for a type of cactus. There are, however, key differences in production methods, and use of particular plants. Tequila is made specifically from blue agave (agave tequilana) within Jaliso state surrounding the spirit’s eponymous city. Mezcal can be made from up to 28 types of agave, but must contain 100% agave juice, while tequila is only required to contain 51% or more. 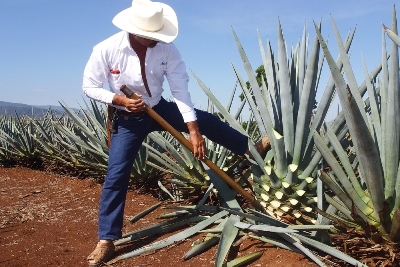 Thus 100% blue agave tequila is a type of mezcal, as evidenced by its proper name, mezcal de Tequila. Mezcal is also native to Oaxaca, Mexico, generally produced with a traditional, religiously-linked methodology using only basic materials like water and firewood. The use of firewood in mezcal production instilling a distinct smoky characteristic is the key difference between the two styles of agave spirit. Tequila’s blue agave is either boiled on steamed in above ground ovens to pull out the required juices, while mezcal is smoked and more traditionally roasted using in-ground pits. The roasting also tends to create sweeter and richer aromas and palates in mezcal than tequila. Unlike mezcal’s distinctive smokiness, tequila’s flavour profiles are often imparted from the amount of oak treatment imparted after fermentation. Tequila blanco (sometimes called joven or abacado) is bottled either immediately or after a maximum of three months in stainless steel or neutral oak barrels. Like the name suggests, blanco tequila is clear with strong and clean blue agave flavours. Reposado tequila (sometimes called madurado) has been aged for up to one year in oak. The next style of tequila, Añejo, features significant oak aging, with a minimum of one year’s aging. Oak treatment adds noticable vanilla and nut elements to the palate. The best tequilas are sippers in a snifter glass. The “bar style” method for drinking tequila ice cold with salt and lime are all, again, sideshows which distract from the taste of poor-quality liquors. Premium tequilas and mescals alike are best enjoyed simple and at room temperature to appreciate the full range of flavour profiles which would otherwise be missed. If you’re interested in exploring the world of mezcal further, deVine’s upcoming Tequila tasting on September 6th isn’t to be missed! The sit-down event will be hosted by Canada’s first Certified Mezcalier Eric Lorenz, and will include eight premium mezcals and tequilas. Reading about tequila and mezcal is of course educational, but both are best understood by tasting some of the best liquors available on the market today. More information and pre-registration for the upcoming tasting can be found here..